Duncan Hunter speaks on the House floor in 2012. Image via video. 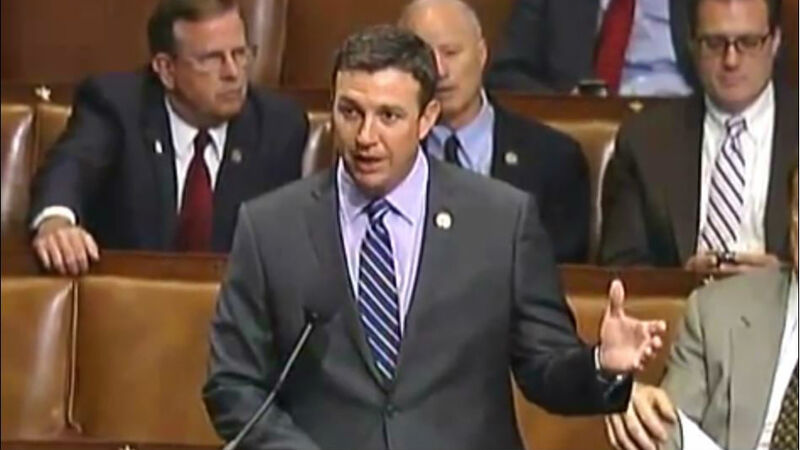 Rep. Duncan Hunter, R-Alpine, whose 50th district includes a large swath of East County San Diego, is under investigation by the U.S. House of Representatives Committee on Ethics into possible ethics violations, it was announced Thursday. The chairman and ranking member of the Committee on Ethics “have jointly decided to extend the matter regarding Representative Duncan Hunter,” a statement Thursday from the House Committee on Ethics read. The investigation follows an inquiry transmitted to the Committee by the Office of Congressional Ethics on Aug. 31, according to the statement. “The ethics panel did not disclose the nature of the investigation, but a Washington-based watchdog group filed a complaint last spring alleging that Hunter improperly used campaign funds to pay for tens of thousands of dollars in personal expenses such as trips to Hawaii and Italy and tuition for Hunter’s school-age children,” the Associated Press reported. The House Committee will announce its course of action in the next Congress, according to its statement. Hunter, 40, won re-election last month and is serving a fifth term as a San Diego congressional representative.